In 2014 Samsung made a device called the Note Edge. Since then, this product has evolved again and again which brings us to the Samsung Galaxy S8. This phone looks awesome and that’s the hallmark of this phone. Being a flagship phone, it has all the bleeding edge specs and hardware inside. Samsung Galaxy S8 has a huge 5.8-inch screen in a relatively small form factor. The phone is powered by the latest and greatest Snapdragon 835 chipset in conjunction with an octa-core processor clocked at 1.7GHz. All this is backed by a 3000 mAH battery. The phone is super snappy and fast. There is no lag whatsoever. The camera performance is the best among all the devices launched in 2017. The phone is capable of taking videos in 1440p@30fps. The fingerprint scanner is a bit off location but most people get used to it and it is not a deal breaker by any means. Samsung Galaxy S8 was launched in 2017 and now Samsung Galaxy S10 is just around the corner. Also, Samsung Galaxy S9 is available at a decent price. You might want to upgrade to that phone as it packs some better hardware and software than Galaxy S8. 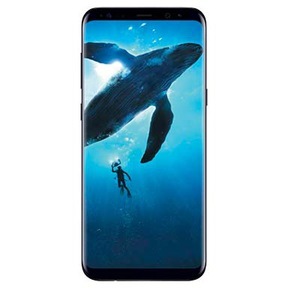 But before you go any further, sell old Samsung Galaxy S8 on cashify.com for the best price. Why Sell Your Old Samsung Galaxy S8 On Cashify? Cashify is a unique platform that allows you to sell old phones from the comfort of your home. 1. Select the mobile tab and enter the brand name and model number. In this case it will be Samsung Galaxy S8. 2. You will get a price quote instantly. 3. Click “get paid” to proceed. All you have to do is answer some basic questions about the condition of the device and schedule a free pickup of the used Samsung Galaxy S8. Payment will commence as and when you handover the phone to the Cashify Agent.